Justin and Fabius had $432 altogether. 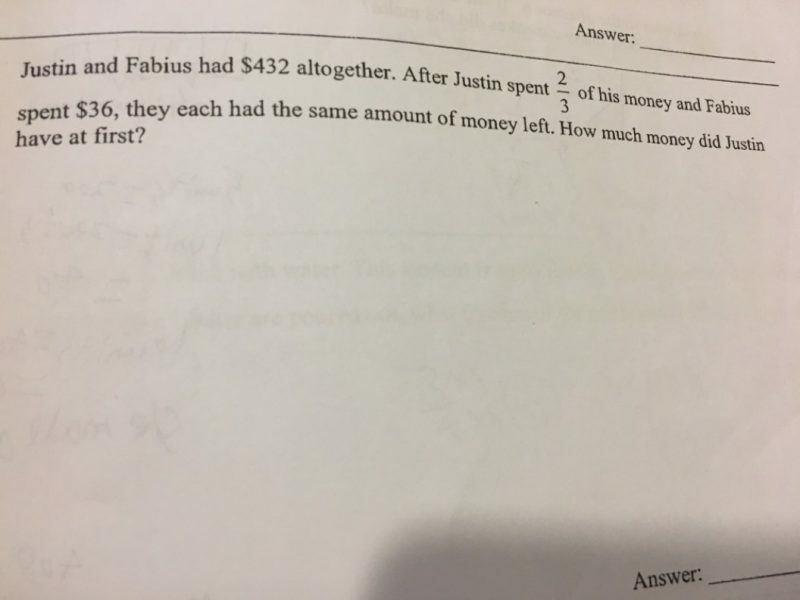 After Justin spent 2/3 of his money and Fabius spent $36, they had the same amount of money. 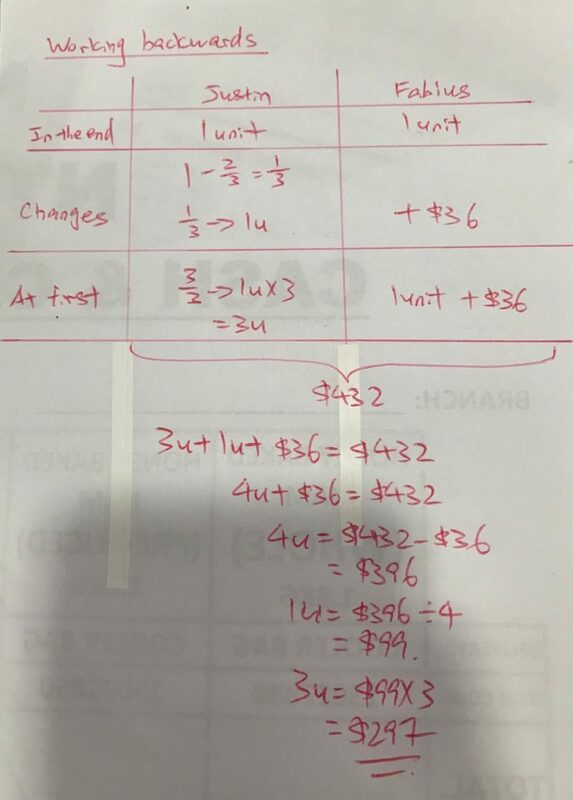 How much money did Justin have at first?